5 December 2018, at 12:00a.m. The idea to grow cells in a lab isn’t new. Experiments growing cells and tissues began more than a century ago. In the 1940s and ’50s, growing viruses in cell cultures allowed them to be mass produced for vaccines. It’s a technique that’s used in human medicine to study both diseases and potential cures. Human organs for use in transplant patients may not be far off. But the mass production of poultry muscles is a relatively new field of study and cell-cultured tissue has never yet been produced on a large scale. Current science can make cell-cultured tissue for specific purposes, but in order to be a reliable part of the food industry at an affordable level, large quantities of meat must be produced at the same time. While the idea has been discussed since the 1990s, funding for research into cell-cultured meat hasn’t been available. 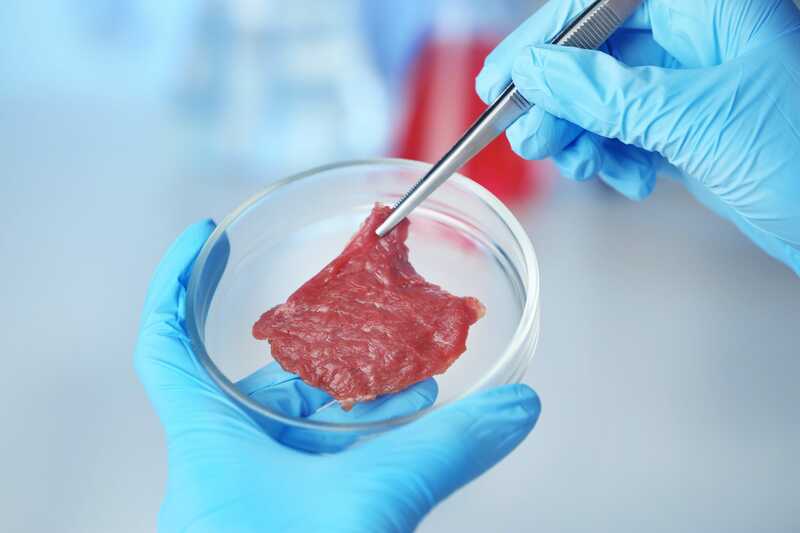 Despite the funding challenges and a lack of interested experts, however, the cell-cultured meat industry has managed to grow rapidly in the last five years and some of those working in the field think that cell-cultured meat might be ready for market in the next five years. From the US to Argentina, governments are working to get ahead of the issue and to put regulatory processes in place before cell-cultured meat is made available to consumers. China has offered incentives to some companies, such as New Age Meats, said founder Brian Spears. He wants to keep the company in the US, but other countries have offered funding and effective regulations that promise to clear the way for the company as it tries to create a mass-produced cell-cultured meat that is fit for public consumption. Poultry company Tyson Foods began explorations in the cell-cultured meat industry about a year ago, when Tyson Ventures, the venture-capital arm of Tyson Foods, Inc, invested in Memphis Meats. “We continue to invest significantly in our traditional meat business, but also believe in exploring additional opportunities for growth that give consumers more choices,” said Justin Whitmore, executive vice president of corporate strategy and chief sustainability officer of Tyson Foods. In April of this year, Tyson invested in an Israeli startup, Future Meat Technologies, which will focus on making affordable cell-cultured meat. Company founder Yaakov Nahmias has said the company has already reduced the cost of cultured meat from about $10,000 per kilogram to about $800 per kilogram with a clear roadmap to $5-$10 per kilogram by 2020. The company that manages to reduce the cost the quickest will have a global marketplace with no competition. 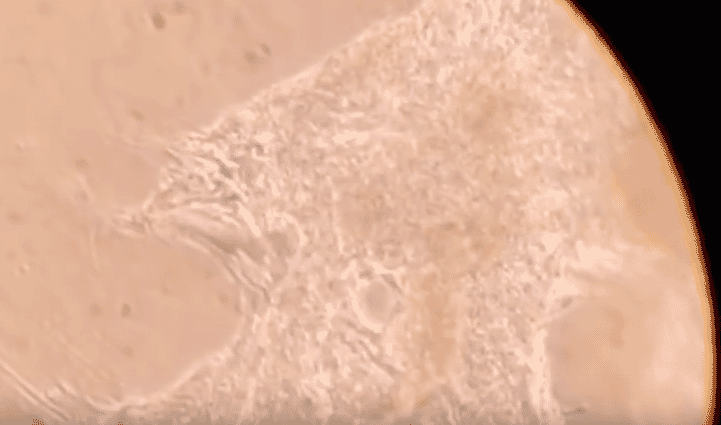 With a great deal of research into growing human cells already having been done, scientists started investigating the potential of synthetic meat by looking at cow and pig cells. The idea was that these animals’ cells were the closest to human cells and would be the easiest to grow into muscle tissue, said Isha Datar, CEO of New Harvest. New Harvest is a non-profit company focused on funding research into cell-cultured proteins and sharing the field’s accumulated knowledge with the world. In 2014 Datar co-founded Muufri (now called Perfect Day Foods) which produces milk without cows, and Clara Foods, which makes eggs without chickens. In 2016 a New Harvest researcher created the very first turkey cell line from cells they had harvested in 1993 and preserved. As Datar explained, the researcher had kept the cells because he had wanted to do the project at the time but had been unable to find funding for it until recently. The turkey cell line was the first animal cell line to be held for research, claimed Datar, although it is only one of the most recent to be examined for cell-culture growth. While cows and pigs have more cellular similarities to humans, avian cells are still easy to grow. New Harvest invested about US$19,000 in creating the turkey cell line, which was less than they would have needed to spend on similar projects using other animals and which resulted in original scientific research. Using the cell line they created, anyone who wants to do cell-culture research into turkeys and turkey products can order it. In order to grow meat in the lab, stem cells must be used to culture the tissue. Stem cells self-renew and can change into different types of cells. They can also be found throughout the body, ready to replicate when a cell dies. In culturing meat, scientists first identify the type of stem cell they want – the organ or muscle they want to grow – and once the cells have been harvested, the animal can get on with its life as before. Turkey cells are grown using chicken serum, which is collected when healthy broilers are slaughtered for human consumption – healthy turkey cells are encouraged to grow using this serum as “scaffolding”. In theory, though, the scaffolding could be any material which the cells were able to cling to in order to grow. Datar said that, to her, this has become one of the most interesting aspects of the process, as it has the potential to create completely new foods. One of the projects New Harvest funds uses vegetables as scaffolding to grow the proteins. Someday, celery sticks might have chicken cells grown into them, suggested Datar. One of the New Harvest researchers is also working on something called a bioreactor, which will cause the cells to ferment and grow. A perfected bioreactor will be a requirement for cell-cultured meat to be grown in large batches. 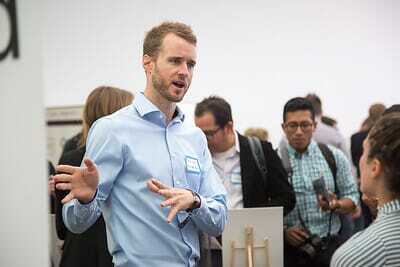 Datar said this process might be new, but it isn’t the first time humans have used fermentation to create something. Initially, she explained, no one would have looked at milk and thought fermenting it was a good idea, but once people became aware of the process (which is thought to have been used in human food production for the past 12,000 years or so), it resulted in the emergence of hundreds of different types of cheese and yogurt products. The cultures used for creating synthetic meat products need to be grown in sterile environments and, in theory, they would not require the use of antibiotics (although this has yet to be verified by independent research). Part of Datar’s interest in cell-cultured meat is its potential for having a positive environmental impact. Someday, she hopes, the serum used as scaffolding will not come from animal proteins, but plants. Less water and energy would be needed when large quantities of the product were being produced. Research into alternative forms of scaffolding is already underway. The Intergovernmental Panel on Climate Change (IPCC), the UN body for assessing climate change science, has acknowledged the potential of cell-cultured meat to improve environmental impacts of meat production. In a report released in October 2018, the IPCC warned that governments and industry worldwide need to do everything possible to make sure average global temperatures do not rise by more than 1.5°C – while even an increase by that amount is forecast to cause a range of events that will have massive impacts on agriculture, from extreme weather to rising sea levels. In addition, the impacts will be worse in poorer countries whose economies rely on agriculture. In the report, the IPCC said that while plant-based proteins and cultured meats are not currently major sources of nutrition for the global population, both methods are potential substitutes for livestock production. Reducing the amount of livestock on the planet would in turn decrease the greenhouse-gas footprint of agriculture and diminish the amount of feed required by the livestock industry. As a result, there would be more land available for other types of farming. When a new technology is introduced to the food industry, governments and scientists often struggle to keep up. A recent example of this is the decades-long controversy around genetically modified organisms (GMOs), in which the anti-GMO lobby became a prominent voice in the industry before the products made it to market. While many in the food industry assumed consumers would broadly accept the use of GMOs in food once they became aware of the science behind genetic modification, this hasn’t been the case. Food products that include GMOs continue to face suspicion from the general public, though there is little scientific evidence to suggest that GMOs currently in use pose any threat to consumers. If lab-grown meat is to avoid the same issues on its way to market, the industry will have to ensure reliable information and marketing efforts are giving the right message to the public. There are a number of questions the regulatory authorities will have to determine answers to as cell-cultured meat gets closer to being a commercial-scale product – for instance: will countries allow cell-cultured meat to be imported? At what quantities? From which countries? If a beef stew uses both traditional beef and cultured-beef, how would that be regulated? In late September the United States Department of Agriculture (USDA) and the Food and Drug Administration (FDA) held a joint meeting in Washington, DC regarding lab-grown meat. The meeting and public comments invited industry insiders to speak about the naming and labelling of the product. On the question of how to describe the food that would result from lab-grown meat, the companies involved maintained that the end products could only be regarded as meat. They match the chemical composition of meat, they taste like meat, and would need to be packaged and cared for like any other meat product. Morevover, calling such products anything but meat might make people with allergies to meat products believe they would be safe for them to eat. It may also suggest to some consumers that the products would not need to be cooked. Labelling the products anything but “meat” or “poultry” could, then, be dangerous for the public. Alternatively, meat-industry representatives can be possessive about terms such as “meat” and “poultry”. The various meat industries around the world have invested years into branding both their products and their sectors. So far “clean meat” “lab meat” “in vitro meat” and “cultured meat” have all been used to describe lab-grown products. Traditional farming objects to “clean meat” – farmers do not want to be associated with the inferred opposite. “Lab meat”, meanwhile, is objectionable to people in the cell-cultured industry because it might make consumers shy away from the label before they understand the science behind the products, or trying it for themselves. “Cultured meat” and “cell-cultured meat” seem to be gaining ground as the options that are least-objectionable to both sides. Consumer reporters conducted a study in the US earlier this year. With more than 1,000 respondents across a range of demographics, 35 percent of people chose “lab-grown meat” and 34 percent chose “artificial or synthetic meat” as their preferred options. The other options available were chosen in around ten percent or less of cases. In the United States, the FDA already regulates cell-cultured technologies, but so far most of the applications it has covered have been in the medical field. The USDA, meanwhile, regulates most existing meat production. Representatives of the USDA inspect all aspects of livestock and poultry farming and production. They conduct site visits and inspect slaughterhouses and packing facilities. They check everything from production procedures to animal welfare standards. And the end product – the chicken breast, the hamburger, the pork – is inspected regularly to check for outside contamination, disease and any other public health risks. On the whole, representatives of the traditional meat industry would like to see the new cell-cultured meat regulated by the USDA as well. They cite the administration’s existing capacity for regulating food safety and the need for comprehensive oversight of the lab-grown sector – commensurate with the constant attention the USDA currently gives to the livestock and poultry industries. They also want the new industry to be subject the same high standards that the livestock industry already faces. In November 2018, the USDA and FDA jointly agreed that both regulatory bodies should oversee the production of cell-cultured meat. “FDA oversees cell collection, cell banks, and cell growth and differentiation. A transition from FDA to USDA oversight will occur during the cell harvest stage. USDA will then oversee the production and labelling of food products derived from the cells of livestock and poultry,” said USDA Secretary Perdue and FDA Commissioner Gottlieb in a joint statement. What happens next is eagerly anticipated by farmers, consumers and industry alike.